How to Remote Control Another Computer with TeamViewer? Step One: Download TeamViewer and install it on your computer. Step Two: Launch the program and click “Connection” tab. In the drop-down list, select “Setup unattended access”. 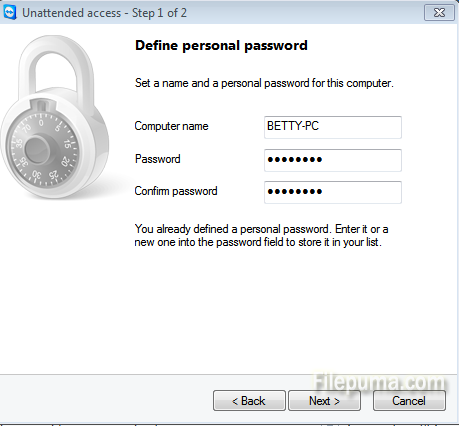 Step Three: Follow the steps to give your computer a name as well as a password. Make sure that the password is strong enough to prevent unwanted intruders. 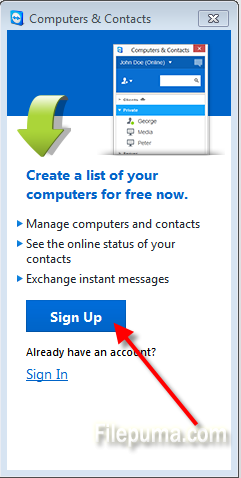 Step Four: Create a TeamViewer account by clicking “Sign up”. This will allow you to see which of your remote computers are online and available to connect to. 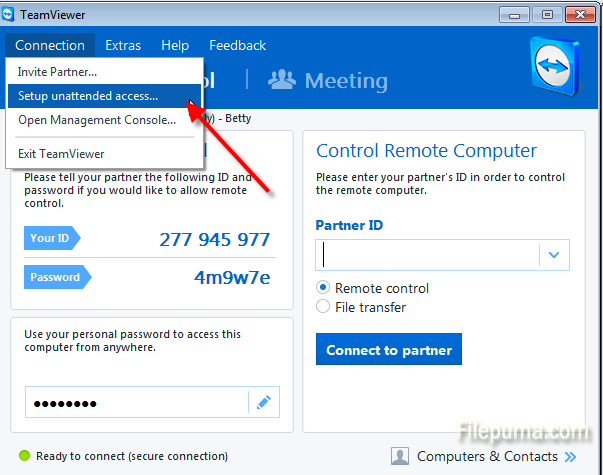 Step Five: Enter your partner’s ID and click “Connect to partner” to achieve remote control.